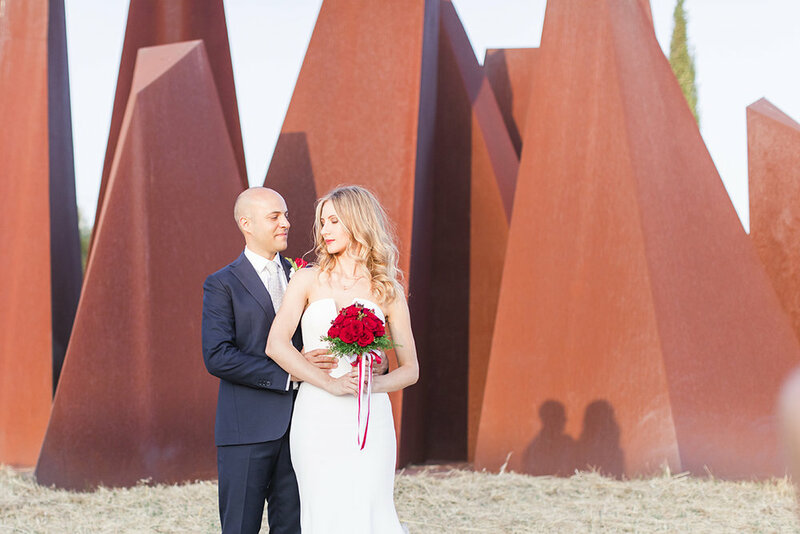 Throwback to last year Olga & David’s Castello di Rosciano wedding! 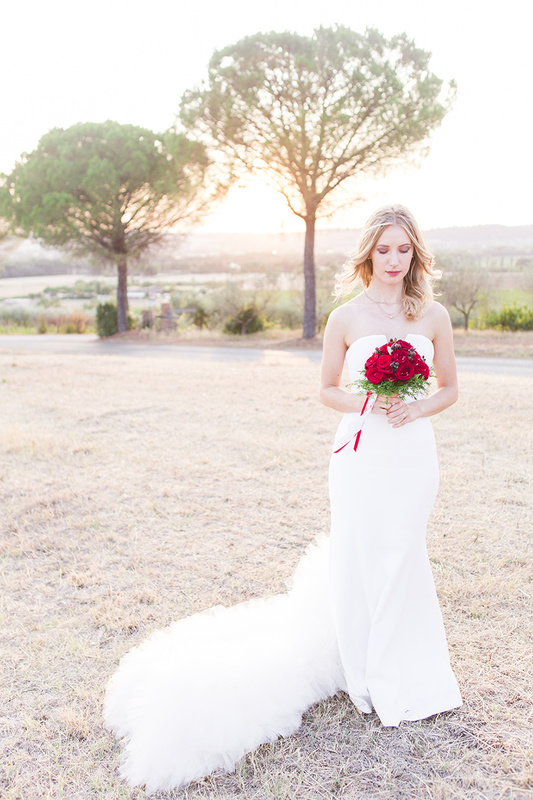 We had such a great time shooting David & Olga’s wedding in Umbria! You’d never believe that early in the morning was really hot and late that evening it was so freezing! In August!! In Italy!!! 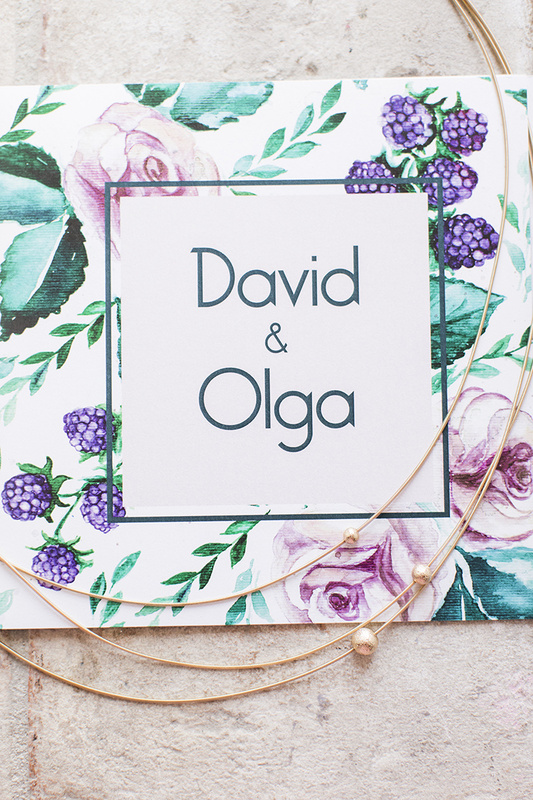 Olga&David were so relaxed all day and never let the weather stress them out. Olga comes from Russia and she is a fashion designer. 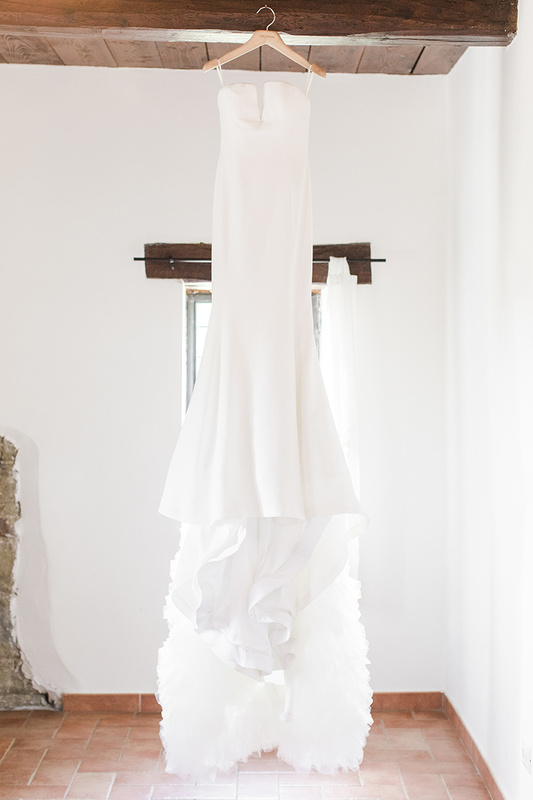 She chose a Vera Wang gown and Michael Kors golden shoes. 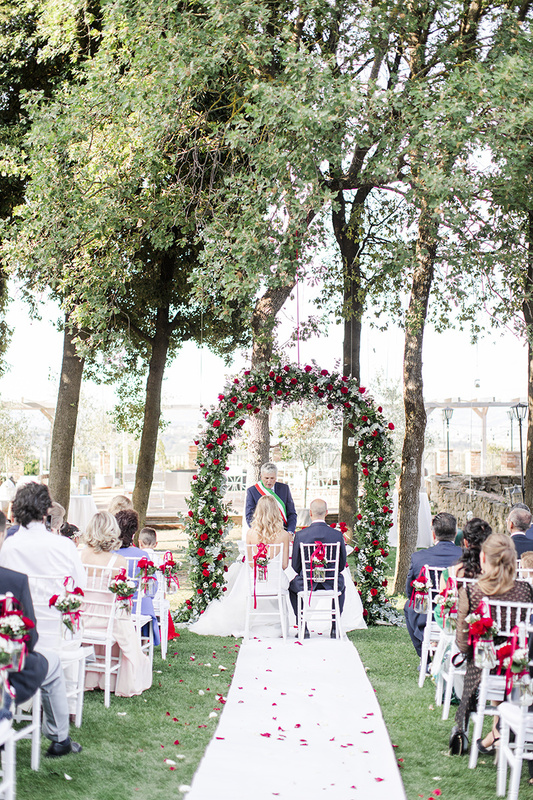 They tied the knot at Castello di Rosciano in Perugia in a open air ceremony that was short and sweet! 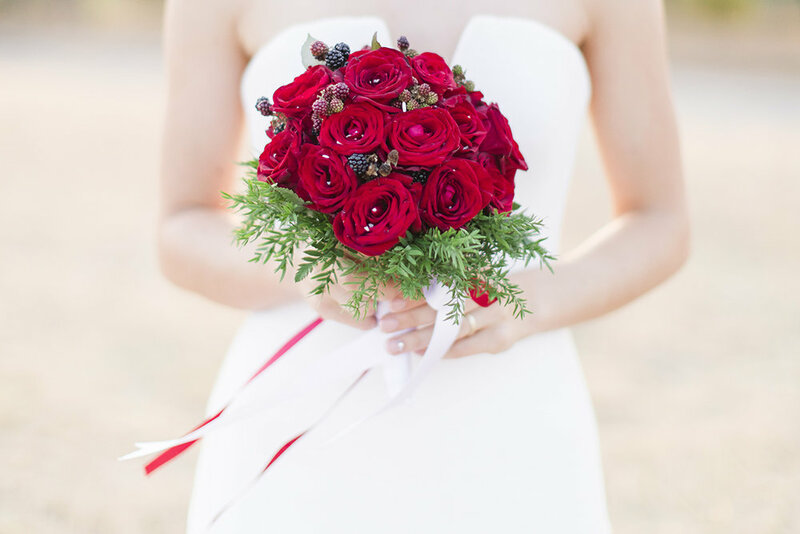 The reception started shortly after with lots of food stations, vodka and a delicious chocolate cake! 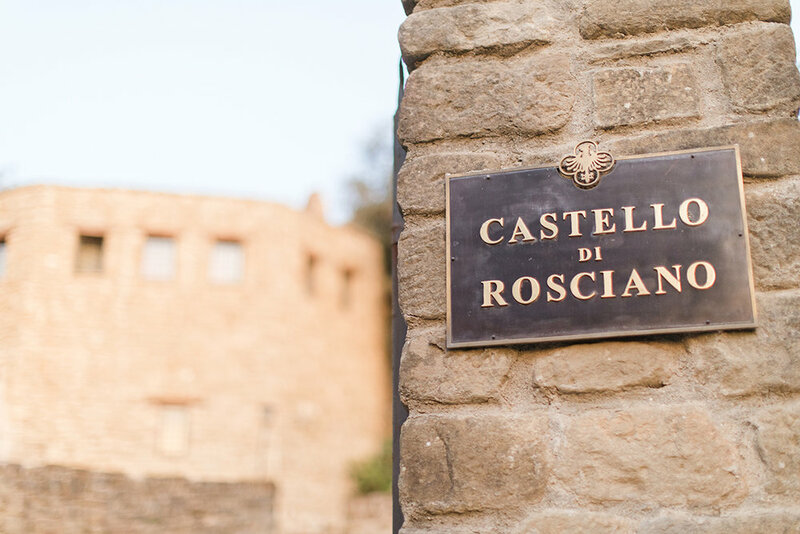 Castello di Rosciano is a 2000 years old castle, today a national historical monument. It is located in the proximity of Perugia, and 1.5 hours drive from Rome. Rosciano Castle is located in Signoria di Torgiano. Built on an Etruscan and later Roman site, it was destroyed in 548, and considered impregnable in the Middle Ages. The very first official historical record dates back to 18 February 1038. The castle was granted to italians families, and then it became a possession of the Papal States. In year 1274 the town of Perugia began the reconstruction of the castle in order to create a strategic outpost next to Bettona village. This marked the beginning of a phase of rivalry between Rosciano and Torgiano, which led to a war between the two communities in September 1277. In year 1384 its external walls were razed to the foundations. 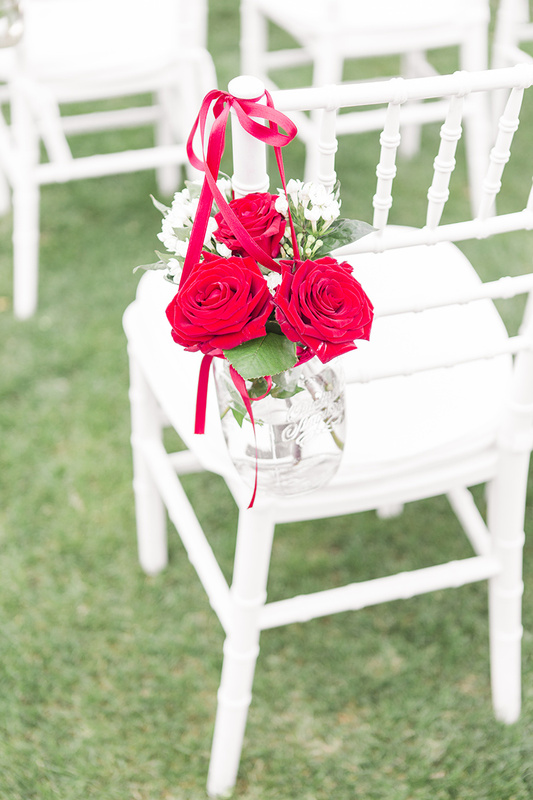 Civil weddings legally recognized can be celebrated in the enchanting garden or in the old church of the castle. Additionally, blessings can be held in the amazing romanesque chapel. 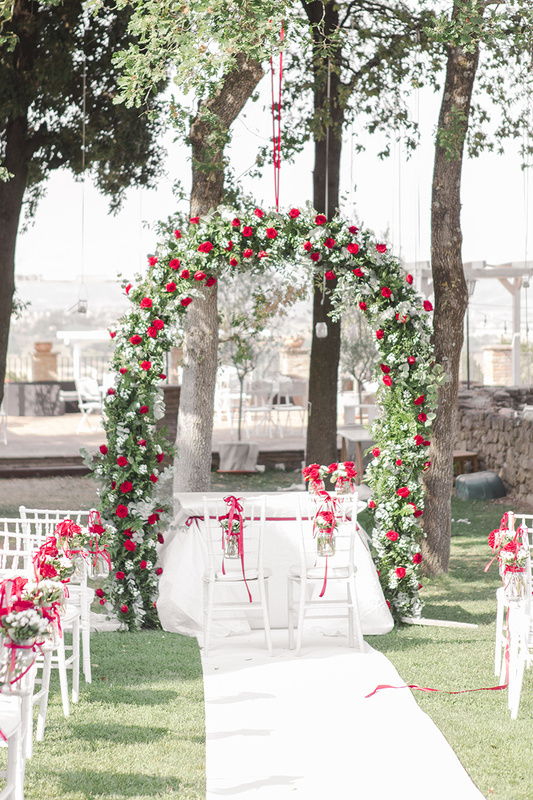 Rosciano’s large garden with its breathtaking view on Assisi valley is the perfect venue for intimate weddings.